Do you have a kid who is obsessed with horses? It happens to many children at one time or another, and it’s perfectly understandable. Horses represent an excellent combination of power and gentleness, and once children see what horses can do in movies and on TV, they just can’t seem to get enough of them. Horses were once such a part of everyday life that nearly every person dealt with them and never thought about it much. But now that so many of us live in the city, horseback riding has become a special treat for children. Whether they’re here every week for horseback riding lessons, are visiting for a single day or trail riding, or have been invited to a horse riding birthday party, kids always have a great time here at Pink Flamingos Stables. But horseback riding is more than just about having fun. Today we’re going to discuss some of the benefits children receive when they come visit us here at our Lake Worth stables. While the horse might be providing the locomotion, that doesn’t mean that horseback riding is a sedentary activity! Staying atop a horse improves balance (see below), which in turn helps to improve core strength. Holding onto a horse with the legs also increases leg strength. When a child starts off with horseback riding, we don’t send the horse off on a gallop. No, we start both horse and rider off at a slow pace, and it’s not for the horse’s benefit! Children of all ages are still learning to improve their balance. But the important thing is that balance can be learned and improved. The more they ride, the better they’ll do on a horse the next time, and this allows them to stay on the horse as riding gets faster and more complex. Riding a horse helps kids develop a new form of hand-eye coordination that they can’t get in other ways. While kids usually experience the world by interacting with it directly — the eye sees a ball coming and the hands reach to catch it — horse riding adds another step by having to think ahead and guide the horse accordingly. At a certain point in the lessons, kids will be riding a horse faster than the child him or herself can run, which prepares them for other large moving vehicles they’ll drive in the future. Any activity that includes learning a new skill, is, by definition, improving the brain. And horseback riding is indeed a skill! 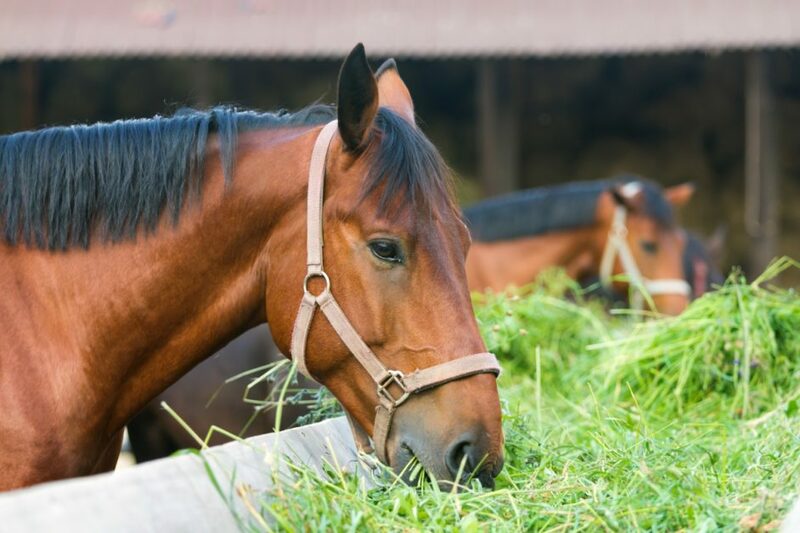 Plus there are many auxiliary aspects of horse care that children learn, such as horse anatomy, care, feeding, and grooming. There are so many benefits that kids get from horseback riding that we can’t fit them all into one blog. Check back next month to discover three more excellent reasons to ride horses, then give us a call!